Are all Russia ties now sinister, or are some just business? MOSCOW (AP) — A shipping company partly owned by President Donald Trump’s commerce secretary is one of the few in the world that can transport liquefied petroleum gas in cold and icy conditions. Russia is known for its brutal winters as well as its giant, state-controlled oil and gas producers. So, for years, Wilbur Ross’ company has been moving LPG for a Russian gas giant. The Russian government is a powerful factor in almost every part of the country’s economy. Some of Russia’s biggest banks, such as Sberbank and VTB are state-controlled, with their management answering directly or indirectly to the Kremlin. The new Russian giant in the spotlight, Sibur, has its own special connections to the state, and President Vladimir Putin in particular. It is partially owned by a man said to be Putin’s son-in-law, and two of its biggest shareholders are oligarchs close to Putin. One of them is his old judo partner. The details of Ross’ stake in Navigator were found among 13.4 million leaked records on offshore entities used by the rich and powerful and famous. They are the biggest leak on the shadowy offshore financial system since the Panama Papers last year, and could shed more light on the byzantine ways companies and individuals hide their wealth or lower their taxes. No evidence has yet emerged that the business deals are being examined by special counsel Robert Mueller. The former FBI director is investigating the Kremlin’s interference in the 2016 election and any possible coordination with Trump associates. As for Ross, the most obvious link to Putin is Kirill Shamalov, who is married to a woman who is said to be Putin’s youngest daughter. Shamalov once owned more than 20 percent of Sibur, but has since cut that stake to 3.9 percent, according to the International Consortium of Investigative Journalists, the group that has been reviewing the new trove of documents. Another Kremlin link is the Putin’s old judo partner, Gennady Timchenko, the second largest shareholder of Sibur. Businessmen with Kremlin links are sometimes tapped to work on key projects with political symbolism, such as the bridge to Crimea or the Sochi Olympics. Timchenko’s construction company has a role building stadiums for next year’s soccer World Cup. Timchenko was sanctioned by the U.S. after Russia annexed the Crimea. The U.S. also barred banks from providing long-term financing to a gas company belonging to Sibur’s largest shareholder, Leonid Mikhelson. 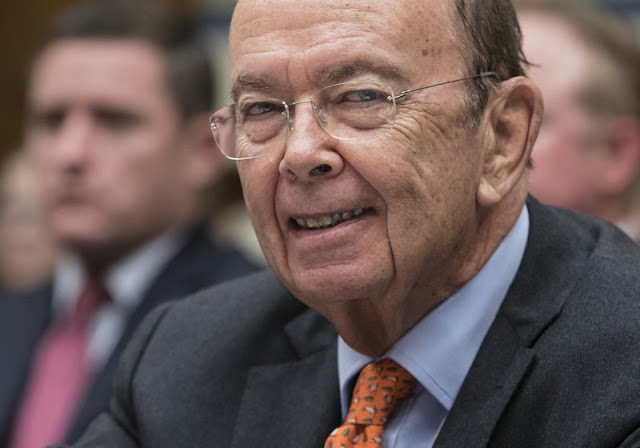 Ross has never met Sibur’s Shamalov, Timchenko and Mikhelson, according to a Commerce Department statement, and was not involved in his shipping company’s negotiations with Sibur. The state gas company Gazprom, in particular, has been accused of manipulating price talks over natural gas to put pressure on governments of other European countries, particularly Ukraine. That’s prompted many European countries to seek gas supplies from elsewhere. A deal between Rosneft and Exxon Mobil also has run into trouble. The Treasury Department fined Exxon Mobil $2 million in July over what it called “reckless disregard” for U.S. sanctions by signing deals with Rosneft’s sanctioned head Igor Sechin in May 2014. Secretary of State Rex Tillerson was the U.S. oil firm’s CEO at that time. As for Ross’ Navigator, some experts say it’s hardly surprising the company counts a Russian company among its customers. 0 Response to "Are all Russia ties now sinister, or are some just business?"